I know it does no good to shout at a TV screen but I do it anyway. Watching advertisements for upcoming specials on “obesity in America” or “best diet tips” or “the best way to fight weight gain” provokes my on-going one-sided argument. When I see doctors such as Dr. Oz or Dr. Gupta talk about weight-loss interventions and offer their support to individuals on their long journey to weight loss, I keep hoping they will at least occasionally focus on those individuals who gained weight from their medications. They never do. That is a real problem. For the 25% of the population whose use of antidepressants is causing them to gain weight, the doctors’ wise and supportive words are irrelevant. Even the Queen of Weight-Loss Discussions, Oprah, has not addressed this serious issue and the silence from other media such as women’s magazines is overwhelming. Yet it has been years since the SSRI’s have been identified with weight gain and at least 40 years since drugs like lithium and the early group of antidepressants were known to be associated with obesity. Discussions about antidepressants and weight gain are all over the Internet, from scholarly articles listing the many drugs that cause weight gain to blogs by those who are experiencing obesity from their use. Typical is one I came across on the website All Experts asking about the use of an amphetamine-like drug, phentermine, for weight loss. The female writer said she took phentermine and lost weight but stopped the drug because she needed to go on an antidepressant. She took Lexapro and gained 35 pounds, stopped that, started Prozac and gained another l0 pounds. Her desperation at gaining so much weight caused her to quit the antidepressants to go back on the amphetamine-like drug. She said her family is begging her to go back on her antidepressants and she wants to know if she can take phentermine along with her serotonin reuptake blocker, Prozac. According to the pharmacist-expert, she can’t. The FDA prohibits combining an amphetamine-like drug such as phentermine with an SSRI because it might lead to serious illness or even death. The writer is clearly upset by the answer and it is possible she will still take the phentermine because losing weight is more critical than a possible lethal side effect. Her problem, which is so typical of many on similar drugs, is greeted by silence from media experts on obesity. 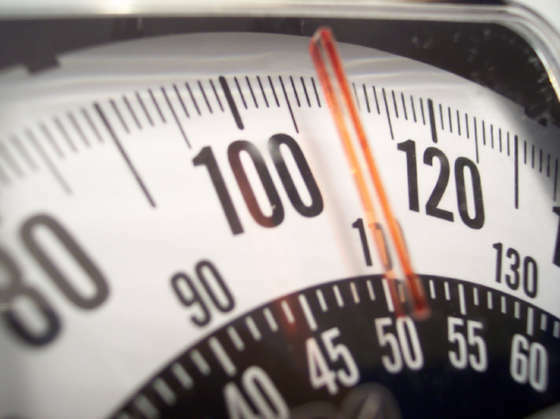 What is equally upsetting about our national discussions on obesity is the finger pointing at someone who is 100 or more pounds heavier than he or she should because of treatment with mood stabilizers or atypical antipsychotics. We see someone morbidly obese and immediately assume that the individual is obese because of bad food choices, eating too much and lack of exercise. We don’t understand that the individual may have been thin before going on the medication, and may have always eaten healthily and exercised. Unless we are on similar medications ourselves, we would not know how it feels to have an antidepressant or mood stabilizer take away our control over eating and leave us so tired we cannot bring ourselves to exercise. Medication-generated weight gain is almost never acknowledged in the seemingly endless national discussions about the obesity epidemic, in the monthly magazine diets or the seasonal focus on weight-loss by television’s medical experts. The lack of attention paid to this problem in the media has led some, like the overweight blogger, to seek out solutions such as taking drugs that are potentially dangerous. Others may despair at following the diet advice given on television and in magazines because much of it doesn’t work for people on antidepressants. And some, of course, will give up their medications because the emotional pain of being obese is worse than the emotional pain of depression. When enough serotonin is made, eating stops. Drugs such as the SSRI’s may promote the activity of mood-enhancing serotonin but for reasons we do not understand the same drugs may prevent the activity of the class of serotonin that enhances satiety. Giving more drugs to shut off the appetite is not possible because there are no drugs right now that are safe and effective. Hi, Violet! The cheapest price I found in my area for “Cialis or Viagra, Levitra”!!! Take my personalized promo code discount ( tw-6416 ). Check this ( http://saddkroporprectis.blogspot.com ). I am going to do the same after ten years of this…I know I could do better. I just got back from the doctor and have gained another 10 pounds officially bringing me to 200 lbs…depression now has really set in as I swore I would never get there…I am on Celexa…since 2000….was 150 lbs, active, and never had to count calories…I don’t snack, I eat whole grains cereals and pastas in the day and lunches are usually a homemade bean taco or curry on rice in a reasonable portion…I don’t eat cookies or chips or chocolate bars…the weight just keeps piling up…Now I could cut out some beers I had poolside on a hot day or the red wine I drank with a TV movie??? I have tried boot camps that have made me practically faint and after four weeks I don’t even see a pound come off…I am at a loss…I don’t know if exercise or diet can help me…am I doomed? I took Lexapro for several months before gaining weight on it. My doctor upped my dose to 30 mg and I believe that is when the weight gain began. It was like I had no control over my body. It made me sleep a lot too which I think was a sign that my metabolism was slowing down. I have a new psychiatrist and he said all antidepressants but Welbutrin may cause weight gain. I saw my Dr. today to get off Prozac he has decided to switch me to Lexapro does anyone have any thoughts for me? My name is Susan I want to use this opportunity to thank Doctor Ayo for what he has done for me, I saw so many testimony on how Dr Ayo the herbs medicine man help to cure so many people obese.i never intend to contact any more doctor because their prescription was not working out for me at all,and it has make me miss out on life.i cant walk,am always on bed,the worst part of it is that i don’t breath well,Sorry to say i just hate myself, So i to contact Dr Ayo for help and tell him my obese problem,without any delay he sent me a herbal medicine which i took as prescription, In not less than two week i have loss so much weight,i don’t know how to explain this magical medicine,Now i believe life is so much better at a healthy weight I am totally loss of weight and am in a good shape.i also breath freely now, so brothers and sisters if you are obese or your child or overweight, please quickly contact him now at [email protected] he will response to you urgently because he told me how this disease has taken a lot of life. Did you lose any of the weight? Were you ever able to get the weight off? Hi there… I’ve recently started weaning myself of my Antidepressants (Fluoxetine) and my mood stabiliser (Lamotragine) AND anti anxiety’s (Trazadone) after an almost 3 year long battle with life in general. I am in a very good space emotionally etc and it’s been the best thing for me (I’ve been “clean” for about 2 months and feel great) BUT I have definitely picked up about 4 kg’s in these two months and this is weighing me down immensely! My question is: is it possible that I could have picked up weight from stopping the meds??? Is this a common occurrence? HELP! True that. I get so mad when I read that the weight gain from psych meds is attributed to appetite increase only. I eat exactly what I ate before (I know; I keep a food journal and see a dietician) and I’m 60 pounds up after four years. I have been on antidepressants for 20 years. I have been gaining weight since I have hit 30(I am 37). For the past seven years I have been trying to lose weight, but just end up gaining more weight. I eat healthier & exercise more, but the weight does not come off. I am SO frustrated. My doctor tells me to cut calories & exercise, as if I haven’t been doing that. It has nothing to do with the calories/food. Will getting off of the antidepressants help me lose weight? I have all sorts of other medical problems from being obese- sleep apnea, back pain, etc. It’s not just the appetite. It messes with your metabolism. You can eat the exact same thing even healthier and you can gain wait. I actually exercised more and ate way healthier while on Lexapro and I still gained 15lbs. This makes me feel a lot better about my situation. I’ve been on antidepressants for almost 4 years now (ranging from Lamictal, to Abilify, to Zoloft) and i’ve since went up 50 pounds. its insane because everything else about me is perfectly healthy, normal blood sugar, no high cholesterol, and yet not only do I consistently gain weight over the years, it’s become increasingly difficult to lose it. I am SO glad I am not the only one experiencing this! I used to be a slender, petite person (I’m only 5 feet tall, and weighed about 105.) I loved how I looked, but after being put on Lexapro have gained 20-30 pounds (I don’t know exact numbers, I try not to weigh b/c that just depresses me more.) I can’t stand how I look, I look like all I do all day is eat, and nobody would believe me if I told them that I exercise several days a week, eat healthy, etc. I am at a loss as to what to do. I was just switched to a different medication, but I’m terrified that the weight still won’t come off and that my metabolism is screwed up now. Not really sure what my point is, but just glad someone else understands this and that I can vent. You missed something: once the weight is gained from the SSRI’s, some people can’t get it off (men usually can and women tend to have a greater challenge). Diet and exercise do nothing. For 10 years I’ve been trying to loose the 30 pounds I gained in 2 months on Lexapro, and it just doesn’t respond. Not to calorie restrictions, carb restrictions, food combining, raw food only, you name it. It has nothing to do with how much food is going in, just that the body will release little if any weight. Currently, I think it is that the weight is water weight which does not respond to dietary changes. I found SSRI’s can case the release of an Anti Diuretic Hormone (ADH) from the pituitary which then impact the amount of water the kidneys will release. Can be called Syndrome of Inappropriate Anti-diuretic Hormone Secretion (SIADH). I’m trying to get an endocrinologist to prescribe me meds, she finally did and when I looked at the info that came with it they use it to reduce urination. What? I want to release more liquid, not retain it. It’s a perpetual battle, one that’s cost me 10 years and 1,000’s of dollars. An extra frustrating part is I don’t think I ever needed anti-depressents. I have a potential solution that I have shared with a Ph.D. Neurologist and M.D. Psychiatry who advises me that “I have a solid scientific rationale,” and that “it makes good sense to pursue that strategy.” I am presently raising funds to conduct a pilot study, check it out at http://gogetfunding.com/project/pilot-study-antidepressants-and-weight-gain. Every $10 counts, if everybody who suffers from this puts in $10 we are on our way. Thank you. I was hospitalized and put on Effexor which caused me to go from 140 – 220lbs in 3 months. I could not make the psychiatrist understand that the weight was because of the drug so I stopped seeing him the minute I got out of hospital and worked with my family doctor. She put me on Wellbutrin, Zeldox and Clonazepam. The weight fell off, my emotions stayed up and I gained confidence back. I’m thankful to her for not thinking the psychiatrist knew best. I thought I’ve been going CRAZY!!! I finally found something that has worked for my depression ‘Effexor’ however in 5 months I have put on 33 pounds. I knew I was getting bigger when I kept having to buy bigger clothes every few months, but it did not cross my mind that is was the medication until 3 weeks ago. So I saw my doctor and she is slowly weaning me off it. I’m 5’3″ and I’ve gone from 136 pounds an average weight for my height to 165 pounds. Which makes me Obese! Seriously!!! I hate myself and am feeling MORE depressed about the weight that I have gained and want it gone! My Doctor questioned my eating and physical activity and said that that would be the cause of the weight gain… Which I know is not True!!! I exercise and eat well and am desperate to get back to ‘ME’. Coming off the meds I can tell I still need them, but will not take them as I don’t want to be FAT anymore! Its a BATTLE in my head, take the meds and feel almost NORMAL but FAT or try to COPE with the SADNESS in my head/heart but be a healthier weight again???!!! Battles that both consume me! You’re totally RIGHT. The good doctor above is either (or is it both) a charlatan or a moron since she’s not addressing the main issue, which is that we shouldn’t use these drugs at all. Also you’re right about what type of food choices she’s suggesting – she’s not up on the latest research on that either….so, how can you take her word that it’s ok to keep ingesting psych poison? If she were worth her salt she would tell you to learn everything you can from your psych poison, ponder why your doctor can’t or won’t give you information, then determine if it’s a good idea to keeping using the poison, I mean meds. She complains about ignoring the elephant in the room – not acknowledging that psych poison causes weight gain, but then entirely misses the boat by pretending it’s fine to keep taking this junk.